HubSpot also recommends these 45 brilliant interactive content examples. Work events are really hit or miss. Let's be honest: How many times have you found yourself anxiously fidgeting with a paper napkin in the corner of a stuffy networking happy hour? Here's the thing: It's not the event itself that prevents you from coming back the following year. It's the experience you remember having. In this blog post, we'll look at some of the best experiences brands have ever offered their customers. I have a big problem with generic trade shows and industry conferences. That's why I was not only relieved, but surprised and delighted, when I attended a holiday party that featured a live, interactive version of an arcade game. It wasn't just another tired work event ... it was an experience. And in our line of work, that sort of thing has a name: experiential marketing. While a surprising number of people haven't heard of the concept, it's kind of a big deal -- there's an entire three-day summit dedicated to it, and 65% of brands that use it say that it positively correlates with sales. Experiential marketing, also called "engagement marketing," is a marketing strategy that invites an audience to interact with a business in a real-world situation. Using participatory, hands-on, and tangible branding material, the business can show its customers not just what the company offers, but what it stands for. 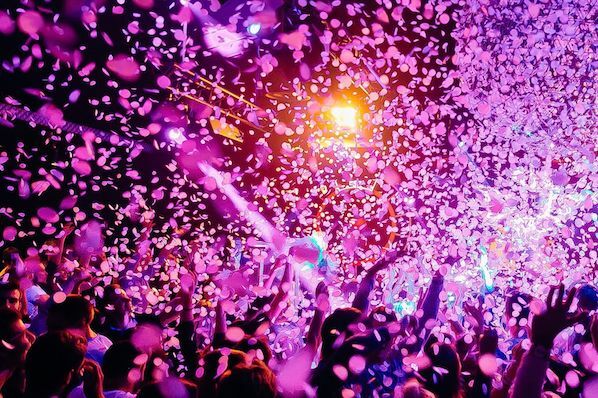 Experiential marketing might sound a bit like event marketing, which makes sense -- experiential campaigns do tend to be event-centric. But there are also times when they have nothing to do with a specific event, as you'll see from the examples we picked. These campaigns can take an integrated approach. The primary purpose is to experience a brand in a tangible, offline way, but you'll still want an online dialogue around it. When you consider that 49% of folks create mobile video at branded events -- 39% of which is shared on Twitter -- it makes sense to incorporate a digital element. A branded hashtag, for example, can get people talking about the experience. For about three years now, lifestyle brand Refinery29 has hosted the 29Rooms event: What it calls "an interactive funhouse of style, culture, & technology." As the name suggests, it consists of 29 individually branded and curated rooms -- and attendees can experience something different in each one. The rooms are designed and created with brand partners, who range from personalities like artists and musicians, to consumer-facing companies like Dunkin' Donuts, Dyson, and Cadillac. Each year, 29Rooms has a different theme, with this year's being "Turn It Into Art." Attendees, it seems, are encouraged to enter each room and use the surroundings to create something -- one room, for instance, invites participants to put on punching gloves and hit punching bags that each produce a different sound when contacted to create a symphony of sorts. A truly hands-on experience, indeed. Partner with creators like artists and musicians to create experiences, especially if they are recognizable within the region where you're trying to build or augment an audience. If you were online October 14, 2012, you probably came across a live stream of the "Stratos" jump. Red Bull has been at the forefront of extreme sports coverage for almost as long as the brand has existed. But in 2012, the company brought its content marketing to new heights -- a world-record height, actually. Affectionately named Stratos, Red Bull's superterrestrial marketing campaign featured Felix Baumgartner, a skydiver from Austria who partnered with Red Bull to set the world record for highest skydive. That record: 128,000 feet, about 24 miles above Earth's surface. Gulp. To pull off this amazing stunt, Red Bull housed Felix in a small communication capsule and sent him up to the stratosphere using a large helium-filled balloon. And what's truly remarkable is that his ascent and preparation to jump, alone, allowed him to break another record before landing safely back on Earth (spoiler alert): Red Bull streamed the entire event online, and saw the highest viewing traffic of any live stream ever broadcast on YouTube -- at just over 8 million viewers. Want to see that experience again? Check out Red Bull's recap video below. I won't lie, I indulged in a rewatching as I wrote this article. Don't underestimate the power of suspense when hosting an event your audience can own a piece of themselves. Being able to witness something new, and maybe a little scary, is such a personal experience. And the better the result, the longer your audience will remember and reminisce over it. Oh, and if you can put your brand in the record books while you're at it, that's pretty cool too. It's disconcerting how many commercials today tell women to change something about themselves. Sitting on the couch and watching TV for just two minutes, I had already lost count of the number of times that message came up. That's why it's so refreshing to see brands like Lean Cuisine, whose marketing used to center solely on weight loss, stray from diet-centric messaging. And its #WeighThis campaign is a great example of just that. As part of the campaign, Lean Cuisine curated a gallery of "scales" in New York's Grand Central Station, and invited women to "weigh in." But here's the catch: The scales were actually small boards where women could write down how they really wanted to be weighed. And rather than focusing on their weight in pounds -- or anything pertaining to body image -- the women opted to be measured by things like being back in college at 55, caring for 200 homeless children each day, or being the sole provider to four sons. What's particularly cool about this experience is that none of the participants actually interact with a Lean Cuisine product. No one was interrupted, asked to sample something, or stopped to answer questions. In fact, no one was really asked to do anything -- the display itself was enough to make people stop, observe, and then voluntarily interact. Lean Cuisine figured out what message it wanted to send: "Sure, we make stuff that fits into a healthy lifestyle. But don't forget about your accomplishments. That matters more than the number on the scale." But instead of blatantly advertising that, it created an interactive experience around the message. Still, the experience was clearly branded, to make sure people associated it with Lean Cuisine. The company's Twitter handle and a branded hashtag were featured on the display in large text, which made it easy for people to share the experience on social media. And that definitely paid off -- the entire #WeighThis campaign led to over 204 million total impressions. Don't interrupt -- especially if you're trying to grab someone's attention in New York City, like Lean Cuisine was. If you create an experience that provides value to the people who pass by it, they're more likely to participate. Figure out the message you really want to your brand to send -- that may or may not be directly tied to an actual product, and it might be something that your brand hasn't said before. Then, build an experience around it. Smile, you're on piano camera! In 2009, Volkswagen caught people at their most musical by turning a subway staircase in Stockholm, Sweden into a giant piano when nobody was looking. The next day, each step produced the sound of a different piano key as people climbed up and down the stairs. The campaign was a part of "The Fun Theory," which suggests people are more likely to do something if it looks fun (I happen to agree). As the automotive industry started to take big leaps into environmentally friendly products, Volkswagen wanted to help make people's personal habits healthier to go along with it. According to Volkswagen -- and its partner, DDB Stockholm, an ad agency -- "fun is the easiest way to change people's behavior for the better." According to the video below, 66% more people chose the stairs over the escalator at that particular subway terminal, as a result of Volkswagen's piano staircase. With every marketing campaign you launch, find the "fun" factor. It's easy to get caught up in how much your brand helps solve your customer's problem. But what about them, as people, would also bring them enjoyment? Once you find your campaign's "fun" factor, find the "good" factor. Hosting an experience is your chance to make an impact on your community, not just the users of your product. 5. Google: "Building a Better Bay Area"
Corporate philanthropy is definitely on the rise. Between 2012-2014, 56% of companies increased charitable giving, and Google is no exception. 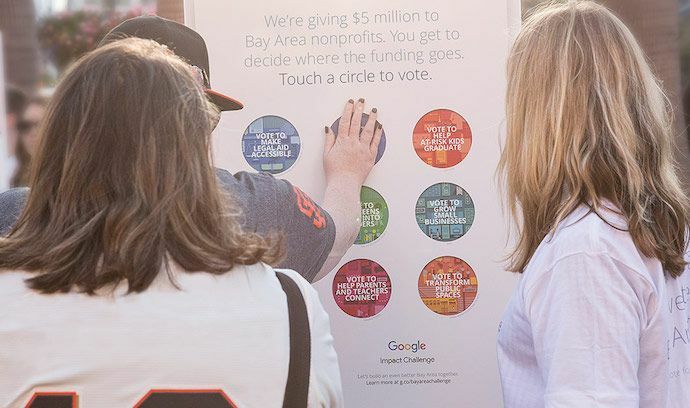 But when the search engine giant gave away $5.5 million to Bay Area nonprofits, it let the public decide where that money would go -- in an unconventional, interactive way. Google allowed people to cast their votes online, but they also wanted to involve the Bay Area community in a tangible way. So they installed large, interactive posters -- in places like bus shelters, food trucks, and restaurants -- that locals could use to vote for a cause. In the video below, the narrator notes that this experience reaches "people when they had the time to make a difference." That's a big thing about experiential marketing: It allows people to interact with a brand when they have the time. Maybe that's why 72% percent of consumers say they positively view brands that provide great experiences. With the help of the online voting integration -- and a branded hashtag: #GoogleImpactChallenge -- the campaign ended up generating 400,000 votes over the course of about three and a half weeks. Create a branded hashtag that participants can use to share the experience on social media. Then, make sure you've integrated an online element that allows people to participate when they learn about it this way. Keep it local! It's always nice when a large corporation gives some love to its community -- in fact, 72% of folks say they would tell friends and family about a business's efforts like these. Remember the "you're already there" approach. Find out where your audience is already hanging out and engage them there, instead of trying to get them to take action where they don't usually spend their time. Tough to remember, right? We're kind of a species of "mindless swipers" -- globally, an estimated 357 billion non-cash transactions are made each year. And knowing how often we whip out our cards, German relief NGO Misereor decided to put our bad habit to good use with its charitable giving billboard. It was what they called SocialSwipe. Set up in airports, these digital posters would display images of some problems that Misereor works to resolve -- hunger was depicted with a loaf of bread, for example. But the screen was equipped with a card reader, and when someone went to swipe a card -- for a small fee of 2€ -- the image moved to make it look like the card was cutting a slice of bread. Even cooler? On the user's bank statement, there would be a thank-you note from Misereor, with a link to turn their one-time 2€ donation into a monthly one. Needless to say, this experience required a lot of coordination -- with banks, airports, and a mobile payment platform. Because of that, the experience couldn't just be a one-time occurrence. The people who interacted with it were later reminded of it during a pretty common occurrence: receiving a bank statement. Don't be afraid to nurture your leads. Even if you don't use something like a branded hashtag to integrate the experience with an online element, find a way to remind someone that they participated. One of my favorite types of marketing is the "aspirational" kind -- or as the Harvard Business Review defines it, marketing for brands that "fall into the upper-right quadrant." Think: luxury cars, haute couture, and private jets. Things we aspire to own. It's that last one -- private jets -- that set apart the Guinness Class experience. For a few weeks, ambassadors dressed in Guinness-branded flight attendant uniforms entered bars across the U.K., where they surprised unsuspecting customers with a chance to win all kinds of prizes. In order to participate, bar-goers had to order a pint of Guinness. After doing that, they would shake a prize-generating mobile tablet that displayed what they won. They could win everything from passport cases to keychains, but one player per night would get the ultimate prize: A free trip to Dublin -- via private jet, of course -- with four mates. What we like about this experience was its ability to associate Guinness with something aspirational, like traveling by private jet. And according to Nick Britton, marketing manager for Guinness Western Europe, that held the brand up as one that doesn't "settle for the ordinary." That's important -- and can be tricky -- for a brand that's nearly 257 years old: to maintain its authenticity, while also adapting to a changing landscape and audience. But Guinness didn't have to change anything about its actual products in this case. Instead, it created an experience that addressed changing consumer preferences -- for example, the fact that 78% of millennials would rather spend money on a memorable experience or event than buy desirable things. Think about the things your target audience might aspire to, and that you'd like to associate with your brand. Then, build an experience around that. Think experiential marketing is just for B2C brands? Think again -- 67% of B2B marketers say that events make for one of the most effective strategies they use. That's why it made sense for GE to invite industry professionals to experience its Healthymagination initiative. The point of the campaign was to promote global healthcare solutions, especially in developing parts of the world. To help people see the impact of this initiative, GE worked with agencyEA to create "movie sets" that represented different healthcare environments where Healthymagination work took place: a rural African clinic, an urban clinic, and an emergency room. The idea was that doctors would share their stories -- live, in front of 700 attendees -- that illustrated how GE's healthcare technology played a major role in each setting. When people measure the success of experiential marketing, one thing they measure is how much of a dialogue it prompted. And that makes sense -- 71% of participants share these experiences. In GE's case, the point ofHealthymagination was to get people talking about a pretty important, but uncomfortable issue: Access to healthcare in impoverished parts of the world. But when you create a way for people to become physically immersed in the issue, it also allows them to acknowledge a topic that isn't always easy to talk about. And that can have quite an impact -- this particular campaign, in fact, won a Business Marketing Association Tower Award. Experiential marketing does work for B2B brands. Think about who you're selling to, and create an engagement that would not only attract that audience, but also present an opportunity for them to experience your product or service first-hand. Get uncomfortable. If your business centers around something that's difficult or "taboo" to talk about, creating an experience around it can prompt a conversation. But make sure you keep it respectful -- don't make people so uncomfortable that they have nothing good to say about your brand. Facebook -- who also owns Instagram -- has always understood how much data it has on how people use these platforms. For that reason, it created the Facebook IQ Live experience. For this experience, that data was used to curate live scenes that depicted the data. Among them was the IQ Mart: A "retail" setting that represented the online shopper's conversion path when using social media for buying decisions. There was also a quintessential Instagram cafe, chock full of millennial-esque photo opportunities and people snapping them -- latte art and all. The campaign wasn't just memorable. It also proved to be really helpful -- 93% of attendees (and there were over 1500 of them) said that the experience provided them with valuable insights on how to use Facebook for business. But what makes those insights so valuable? Momentum Worldwide, the agency behind Facebook IQ Live, puts it perfectly: "When we understand what matters to people ... we can be what matters to them." In other words, we can shape our messaging around the things that are important to our target audiences. And by creating this experience, Facebook was able to accomplish that for its own brand. In creating this experience, it also created a positive brand perception for a few audiences -- including, for example, the people who might have been unsure of how to use the platform for business. Build an experience for people who aren't sure about how they would use your product or service. Find ways for them to interact with your brand in a way that creatively spells out how it can benefit them. 10. Zappos: "Google Cupcake Ambush"
To help promote its new photo app, Google took to the streets of Austin, Texas, with a cupcake truck in tow. But people didn't pay for the cupcakes with dollars -- instead, the only accepted currency was a photo taken with said app. And really, what's better than a free-ish cupcake? We'll tell you what: A free-ish watch or pair of shoes. That was the answer from Zappos, anyway. That's why the brand playfully "ambushed" Google's food truck experience with one of its own: A box-on-feet -- strategically placed right next to Google's setup, of course -- that, when fed a cupcake, would dispense a container with one of the aforementioned goodies. But what we really like about this example is how much it shows the value of experiential co-branding. Because Google and Zappos pursue two different lines of business, they weren't sabotaging each other, but rather they were promoting each other (which is what happens when you pick the right co-marketer). Make sure your partner would benefit from your audience, too -- you want the experience to be a win-win-win: for you, your co-brand, and the consumer. When you do pick a marketing partner, build an experience that requires an "exchange" of each brand's product or service. That way, the audience is more likely to interact with both of you. Docker is a software platform that allows developers to make and run apps on different operating systems -- a technology known as "containerization." By some standards, it's not the sexiest product you can buy. By an enterprise's standards, it's not even the easiest product to understand. Enter: Docker Dash. In partnership with Jack Morton, Docker used its developer conference, DockerCon 2017, to nurture its core enterprise market with a unique product demo called Docker Dash. What made it so unique? It wasn't a demo -- it was a game. And conference guests weren't guests -- they were players. Docker Dash was a live video game-style simulation of Docker's application platform, and it recruited 5,000 of its enterprise attendees to create an app together by solving a series of fun challenges inside the game. Each challenge presented in Docker Dash allowed the "players" to engage a feature of Docker's product and ultimately complete their app. It was a fun, collaborative way to show enterprise software developers why Docker is invested in the containerization market and the value these people can get from Docker's product. Docker Dash got the attention of more than 3.6 million people -- those who watched and posted about the event from social media, in addition to those who attended DockerCon in person. Conference hosts thrive on attendees who network with one another. By creating opportunities for your attendees to collaborate and play together, you allow them to share their ideas -- making for more educated customers as a result. "Gamify" your brand. Give people the ability to play and compete for something, and you'll instill in them a sense of accomplishment that makes them more passionate about your industry. 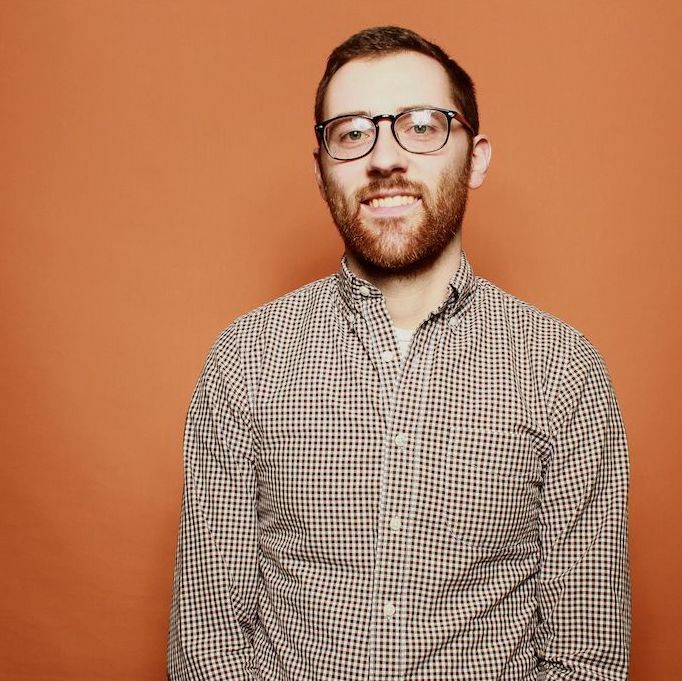 Clearly, taking some very calculated risks worked out pretty well for these companies. So when it comes to creating an experience with your brand, don't be afraid to think outside of the box -- and don't be afraid to work together on it with someone else. Invest some time into thinking about the ways people could interact with you, even if it seems a little nutty. If it's aligned with what you do and executed thoughtfully, people will be talking -- in the best way possible.